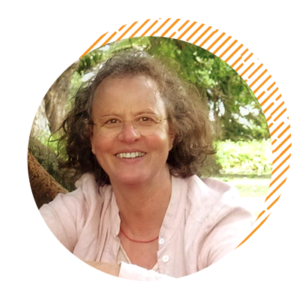 Hi, I’m Lucy Schwabe and I am a registered Acupuncturist, Traditional Chinese Medicine (TCM) practitioner, Tai Chi instructor and certified Mindfulness-Based Stress Reduction (MBSR) teacher with a commitment to holistic health. I established my clinical practice in 1997. The focus of my practice since its formation has been on incorporating Acupuncture and TCM with Mindfulness-Based Interventions. Since 2002 I have been facilitating MBSR group courses and other mindfulness programmes for a variety of health, educational, corporate groups and organisations. A deep source of inspiration in my life comes from meditation practice, yearly silent retreats and tai chi training as a way of cultivating embodied mindfulness in daily life. To continue learning and growing both personally and professionally I am committed to having regular supervision and to participate in ongoing professional development. I completed four years of study at the New Zealand School of Acupuncture graduating with a Bachelor of Health Science. I worked and completed postgraduate studies at the Beijing Traditional Chinese Medicine Hospital in China. Following that, I began the MBSR training at the University of Massachusetts, Centre for Mindfulness, USA leading to teacher certification. Since 1987 I’ve been practising Tai Chi and am a qualified instructor with the Taijiquan School of Central Equilibrium. More recently I completed a programme of studies with the Nalanda Institute, receiving a certificate in Contemplative Psychotherapy. I have over 20 years of clinical experience with Acupuncture, Traditional Chinese Medicine and Mindfulness-Based interventions and have managed and taught in the student clinic at the New Zealand School of Acupuncture, Wellington campus for 11 years. Currently, I am working in private practice and enjoy facilitating mindfulness programmes including MBSR, Mindfulness for Stress Reduction, Tai Chi and Relational Mindful Movement.